You’ve all heard of it – Candy Crush Saga – the popular puzzle game for Android, iOS, and Facebook. 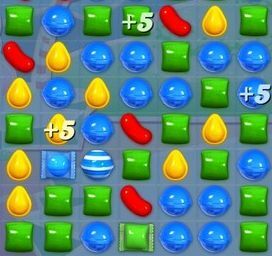 It’s a classic match 3, where the player’s objective is to match 3 or more of the same colored candy shapes, in order to crush them from the board. Depending on the level, the goal is to either reach a certain score, to clear “jelly” by matching the candy inside it, to clear the board so certain “ingredients” reach the bottom, or to simply crush certain combinations of candies. Time and move limits are also applied on some levels … just to annoy you. Don’t be fooled however by its tasty looking facade, even the best players can find themselves up chocolate creek without a paddle. If you’re stuck on a specific level, or wish to learn some new techniques – check out our great list of Candy Crush Cheats, tips and hints, that will soon have you crushing your way to glory! The key to a long run on Candy Crush is getting lives and preserving them, but annoyingly when they’re depleted you have to wait up to 30 minutes to be replenished. Who has time for that? Thankfully there’s a neat little hack that exploits your device’s time settings, that will give you unlimited lives without having to pay a thing! 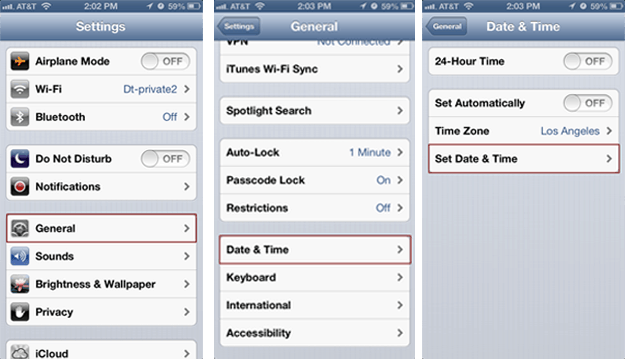 Depending on your device, when you’ve ran out of lives, go to the settings and manually set the time forward by 2 and half hours. Then re-open the game BUT DON’T start playing yet. Head to the map and this will usually display your 5 replenished lives. If this is the case, exit the game again and set the time back to normal. Now you can play with these new lives and you should have no other problems. If you don’t follow the final step and begin playing without resetting the time, the game will not replenish lives at the normal rate. That’s even more irritating! Many people will have discovered this next tip by chance, but if you’ve started a game and you feel the board has been arranged in a particularly difficult way, simply go back to the main menu before making any moves and then reopen the level. The board will now be reshuffled. Repeat this process until you get a board that you think will be easier to clear. It’s not cheating, it’s preparation! Have you ever had a friend that gives you advice, even when you don’t want it? The suggested moves on Candy Crush are there to help absolute beginners who may not fully know how to make matches. What’s worse is they’re random, and by no means represent the best moves you can make at any given time. It’s therefore better to ignore these and discover your own effective moves based on some of our other top tips. Early on in your campaign of crushing you will realize that it’s better to begin clearing the board from the bottom, instead of matching candies at the top. This is because when candies are crushed, the ones above fall in their place. Doing this in the right way will create combos of multiple matches, which will clear the board quicker. Often vertical matches are more successful in producing a cascade of combos because they create bigger drops. A good strategy for overall success is to get rid of these first, so you can then concentrate on bigger combos to clear the board for points. To clear liquorice swirls, icing, chocolate, marmalade, and bombs, simply match with the candies right next to them. It is especially important to target candy bombs with low numbers, because if they run out it will cause you to fail the level. After each move the bomb timer will reduce by 1, so have a good think whether you’re at risk or not. It is also important to get rid of chocolate blockers, because if you don’t they will re-spawn on the next round and continue to haunt you. In later levels you will also encounter chocolate spawners, that create new blocks every two moves. Who would have thought chocolate out of thin air was bad thing? Some blockers are a bit more difficult to crush. Icing blockers for example may be multi-layered, which will take extra moves to destroy. To remove liquorice locks, match the locked candy with two other candies of the same type. This will release that candy for further matching. Under marmalade blocks you may find special candies, so if you need some extra help, you know where to hunt. The game is not all about crushing candy like a madman. Different levels will have different objectives, so it’s important to switch your focus accordingly. For example, on levels where you have to move ingredients to the bottom, you may need to sacrifice making specials or juicy combos on one side of the board, in order to get the “cherries” where they need to be on the other side. When a level isn’t timed, there’s no need to rush through as fast as possible. Stop, have a think, have a cup of tea (pint of beer, fruit smoothie) and come back. The objective is just to finish, and the more moves left the better. Just as with going after blockers first, on jelly levels it’s best to target jellies on the edge of the board first, especially right in the corners. By design these are the hardest to reach, so it makes sense to tackle them head on. If you don’t, you’ll find yourself frantically wasting moves towards the end without getting anywhere near. 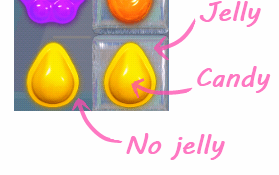 In order to remove jelly, you must make a regular match over its block. Several boosters can also help you crush your wobbling foe, such as jelly eating fish. Match one with three candies and it will gobble three pieces of jelly! A good tactic is to save your jelly eating fish until last, so they can go after the jellies that were too hard to reach on your own. Only after all the jelly is gone should you switch focus to regular crushing. Jelly fish are so obsessed with eating jelly that they will actually plough right through a block of icing to get to it. In other words don’t spend unneeded moves crushing icing to get to the jelly, because the fish will do this for you. 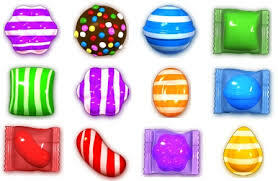 Throughout a game you will notice certain “special candies” that are either striped, wrapped, or multi-colored. Do not ignore these as they have the ability to crush greater amounts of candies than regular matches. To create a striped candy you need to match four regular candies. You can then use the striped candy in a future move as the third match or more. For example you can match two blue candies, with a blue striped candy. When you use the striped candy it will crush the entire line! To create a wrapped candy you need match five regular candies in an L or T shape. When you use a wrapped candy in a move, it will crush a 4×4 surrounding grid of candies! 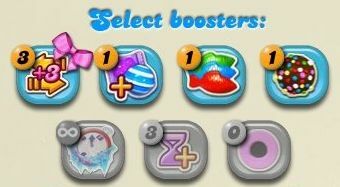 To create a multi-colored bomb, you will need to match five regular candies in a line. When you use a multi-colored bomb it will crush all the candies of the same color! 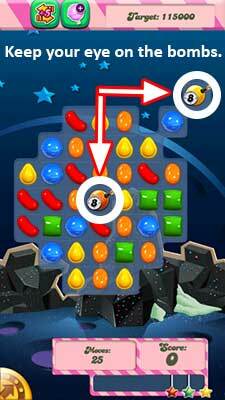 To truly dominate a level try combining two special candies in one move, to create the biggest crushes in the game. When you reach level 306 “Chameleon Candies” are also introduced. These change color after each move, and can be used when matching regular candies. If you can foresee the color change they can become quite effective. For the budding Candy Crush strategist you can make striped candies activate the direction you want, by creating them in that direction. So if you want one that will blast sideways, you need to match four candies horizontally. Making this work to your advantage takes a lot of planning ahead. To be successful on difficult timed levels you need to master the art of adding extra time. This is done by activating special +5 candies, but sometimes you can only obtain these by crushing fifteen candies in one move. This is no easy feat, but you increase your odds by clearing the board from the bottom, causing a cascade of combos if done correctly. Completing a level with moves left over will create special candies that will help crush the remaining parts of the board. Therefore this will usually result in a higher score. On a jelly level you will get extra jelly fish, and on other levels you will be given striped candy. Of course this tactic assumes you’ve made some good strategic moves throughout the level. If you are willing spend money there are several boosters you can purchase within the game that give you an extra edge. You can buy more moves, extra jelly fish, extra striped candies, and much more. Some of these will be applied as soon as you start a level, while others can be selected when you want to use them. Once used you will have to make another purchase to use them again. There are also several free boosters available if you connect your device and begin playing on Facebook. If you get stuck on a certain level, you can request 3 extra moves from your Facebook friends if they are also playing the game. Likewise you can also help your friends if thy are stuck. 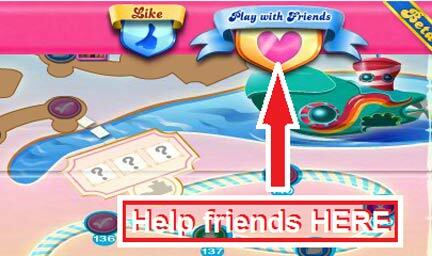 Simply click “play with friends” on the main menu and you will see a list of friends who are having trouble on a level. You then have the option to help them out with 3 extra moves. This will not negatively effect your own game, so why not be generous! 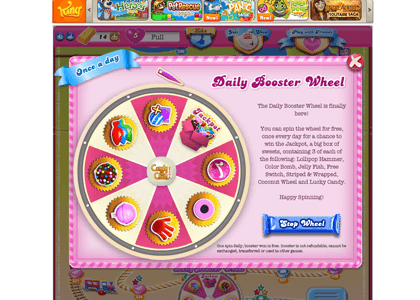 On the Candy Crush menu there is a “Daily Booster Wheel” feature. This allows you spin a wheel of fortune once every 24 hours, earning one of 8 possible boosters, including a jackpot (though you’ll rarely land on this). Certain boosters can be saved and do not have to be used right away. A good tactic is to save as many as possible so you can unleash them on a particularly hard level. You will get 3 free lollipop hammers as soon as you begin the game, so it is best to use these later when you’ve got past the learning curve and actually need them. If you crush for too long and find yourself stuck, you may end up using bad habits over and over again. If this is you, step away from game! The old adage “sleep on it” is a sound piece of advice. Once you’ve come back refreshed, you may end up using a whole different approach out of nowhere. However if you’re extremely stuck, you may want to head over to Youtube and check out a tutorial for your level. While the board in the video won’t be quite arranged in the same way as yours, it will help you visualize and put some new skills in to practise. Last of all, have fun! After all it’s just a game. If you’re not having fun then what’s the point?